With her spontanous meanwhile removed statement on Facebook that she has been the first who ever climbed Pig Pherado Shar, Ines was probably wrong. According to a report of the Himalayan chroniclers Elizabeth Hawley and Richard Salisbury in a publication of the American Alpine Club Pig Pherado Shar was firstly climbed 53 years ago. 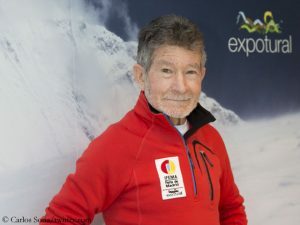 Hawley and Salisbary write that a French team headed by Robert Sandoz reached the summit of the mountain, which is also known as Likhu Chuli I, on 21 October 1960 “via the steep, difficult west ridge“. 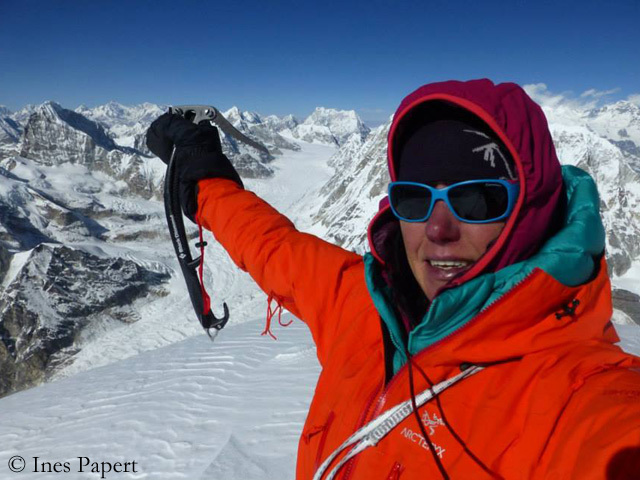 Originally, Ines Papert and Thomas Senf wanted to open a new route through the north face of 6487-meter-high Tengkangpoche. Why they changed their plan, we will certainly find out in the next few days. 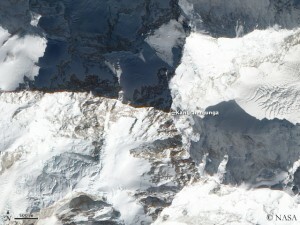 The Swiss Ueli Steck and Simon Anthamatten had firstly climbed via the Tengkangpoche North Face in 2008. 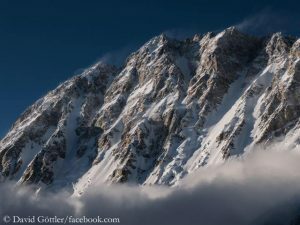 For this performance they were awarded in 2009 with the Piolet d’Or, the “Oscar” for climbers.